The much anticipated new Samsung gear360 comes in more miniature and cuter look than its predecessor. Its light and pocketable making it much easier to hold for extended period of time. The new Samsung 360 comes with a new 4k 360 degree video capture with a dual f/2.2 8.4 megapixel lenses that sticks out on both side of the camera. The main appeal of this new camera is that it can shoot and record in 4k or broadcast live on facebook. With a improve longer battery life and a memory space that support up to 256GB of micro sd card, you can record up to 130 minutes of video and that’s something really impressive. The most important improvement would be its compatibility with other brands of mobile other than Samsung. The 2017 model supports a variety of phones including iPhone 7, 7+, 6S, 6S+, SE running iOS 10.0 or later. Galaxy S8, S8+ S7, S7 edge, Note5, S6 edge+, S6, S6 edge, A5/A7(2017) running Android 5.0 or later. The reason I believe is mainly due to the high processing demand required by the phone thus only selected models are recommended. Samsung’s new HDR landscape feature allows you to take much better quality images and its specially useful for landscape or real estate photography . You will also need to put it on a tripod to keep the camera steady to minimize little or no movement for best quality. Todays review is to find out whether this camera is good enough for real estate virtual tour and how it compares up to the reign king of consumer 360camera the Ricoh Theta S. The main concern would be the specs downgrade from the initial 15 megapixel sensors to only 8.4 megapixel. This affects still images, since it can only produce 15-megapixel JPEGs rather than 30-megapixel ones. Samsung tells us that the new sensor is better for shooting in dark environments. Frankly, for casual users, a 15-megapixel image is plenty, but it would be interesting to see if the lower resolution would have any noticeable effects on 360-degree panoramas — something we’ll look at when we get the chance to review one. Megapixels are less of a concern when it comes to video. So we put the 2 of them to a test and let you decide. We can see that the colours especially the green areas outside the balcony are more saturated from the Ricoh while the colours taken by Samsung Gear360 appears to be more natural. On the interior, it appears Gear360 photo quality is nosier only view in when view full screen. Otherwise both photos appear decent when view on mobile phones. From the above image comparison, we can see its slightly expose on the Samsung Gear360 at the balcony view while Ricoh still maintains a decent backdrop showcasing the beautiful scenary outside. By now i think you would have concluded which camera is more suitable for you after viewing from the 3 examples above. The new Gear360 is retailing at $350 and only available in white. As you can observe from the comparison we took, the Samsung gives a more natural colour though slightly grainy when compare to the Ricoh. You would also need to get additional memory card as the camera does not comes with built in memory. As this test does not include video footage comparison which the Samsung will win hands down, we would just focus on our objectives today to find out which one is the better one for 360 photography. Overall, we would recommend the new Gear360 based on the overall value it provides. 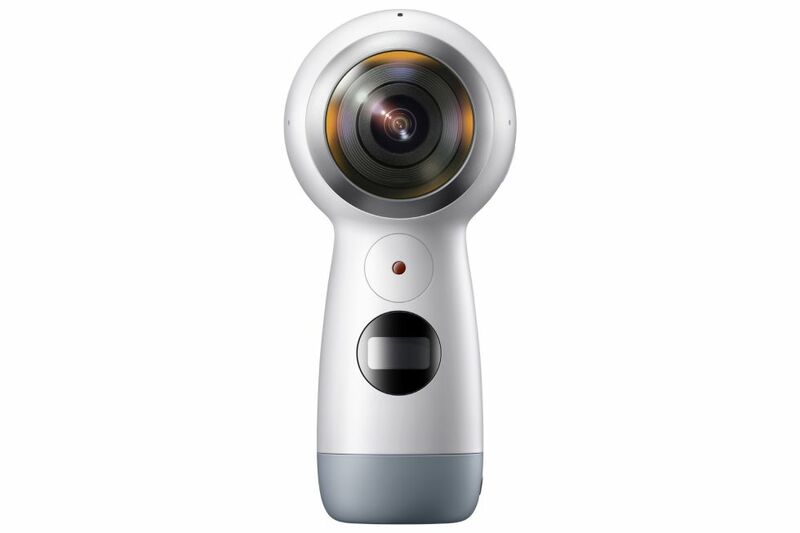 For $130 cheaper and quality almost equivalent to the Theta camera, that’s something you definitely can consider if your phone is compatible with the requirement of the Gear360. 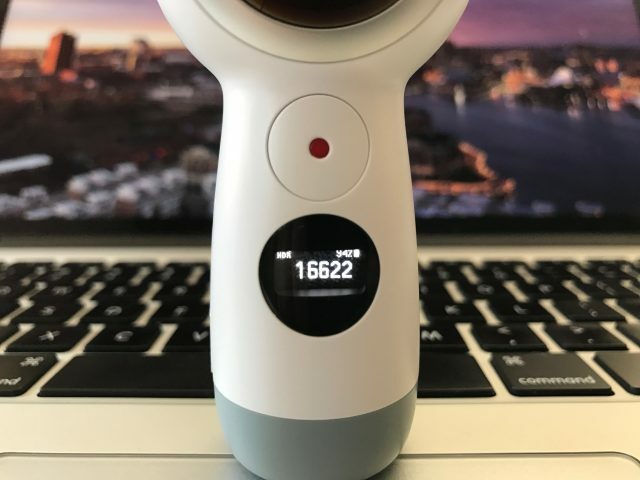 Otherwise in terms photo quality and user friendiness, Ricoh Theta still reign as the best consumer 360camera for photos.